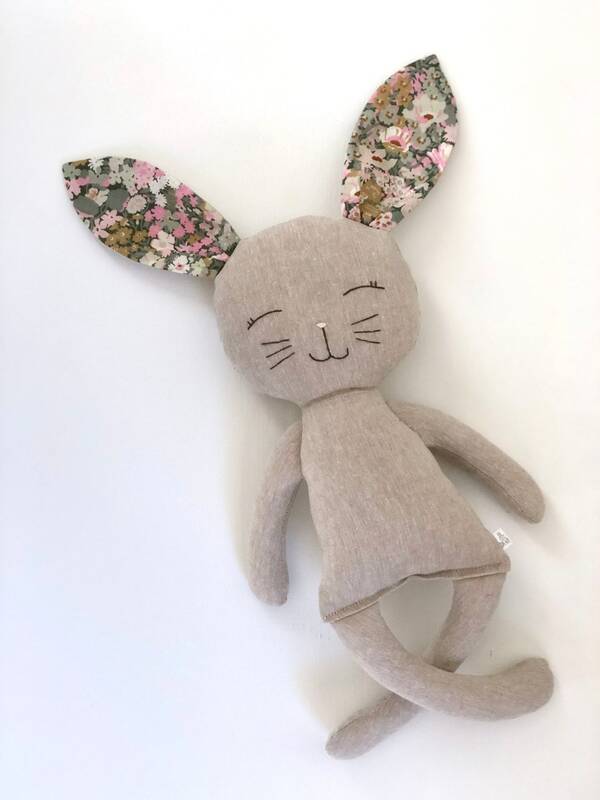 The sweet face of this sleepy time bunny is hand embroidered, making every one unique. 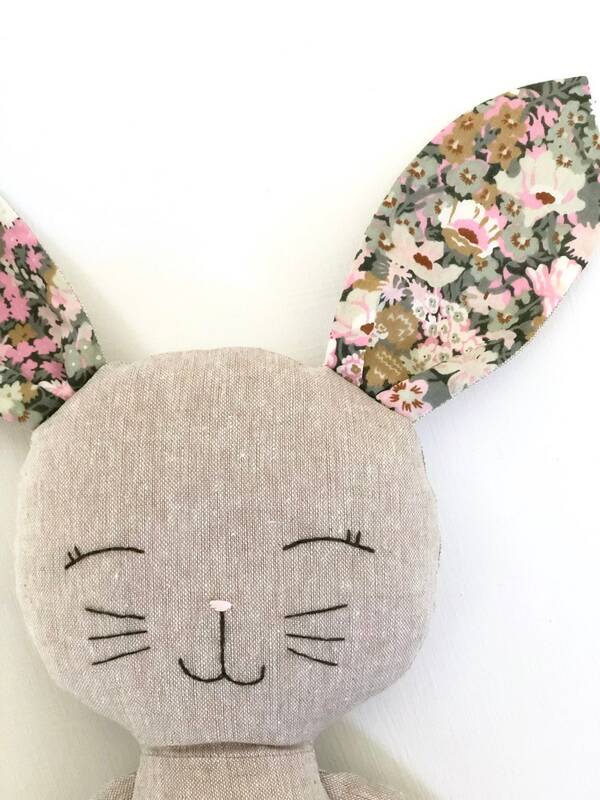 With long floppy ears lined with beautiful liberty of London floral prints, and a little cotton tail, It's the perfect play time and sleep time friend. 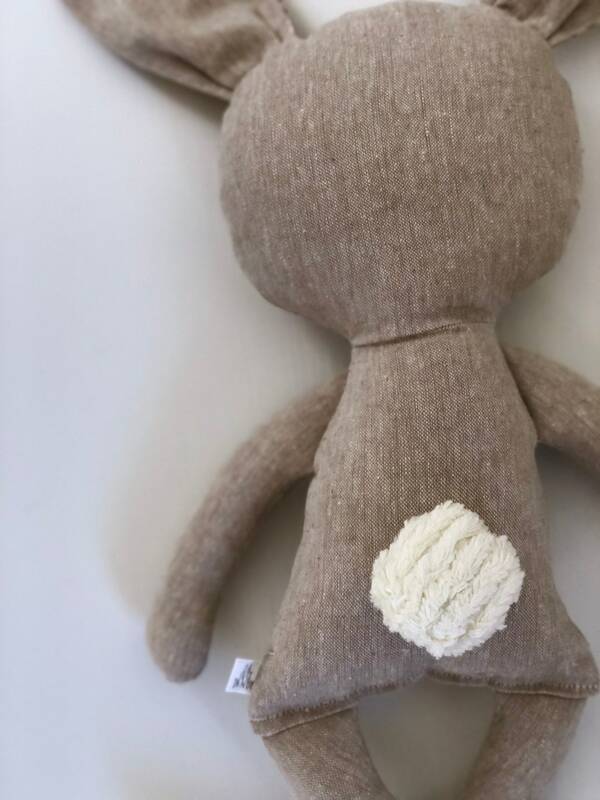 Love this sweet bunny but would like a different color/fabric? Just send me a message and I'll work with you to find the perfect fit!